In a highly aesthetic area, the ability to preserve the papilla and avoid “black triangles” post-treatment is the ideal outcome. However, with surgical and nonsurgical treatment, recession is commonly the inevitable result. 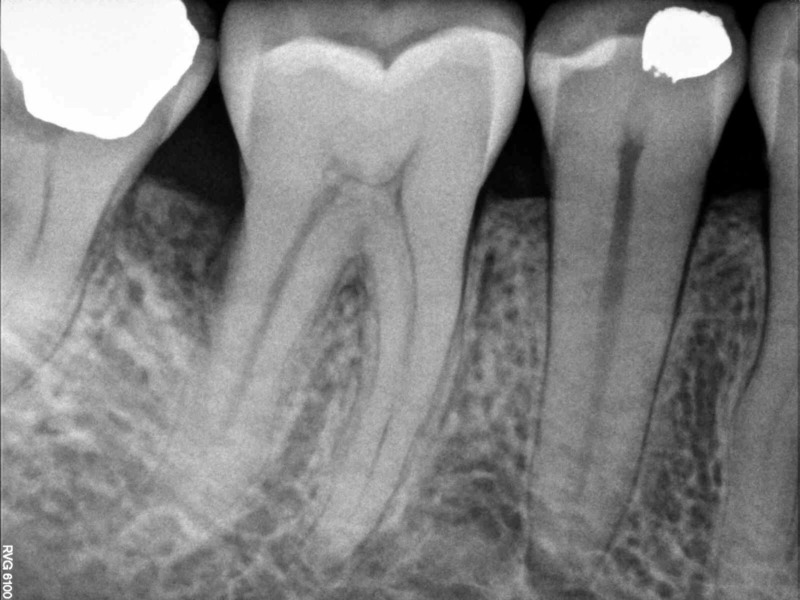 The case below is an interesting result on what can be potentially achieved with periodontal endoscope and emdogain. A 45 year old female was referred in April 2016 for treatment of localised aggressive periodontitis. 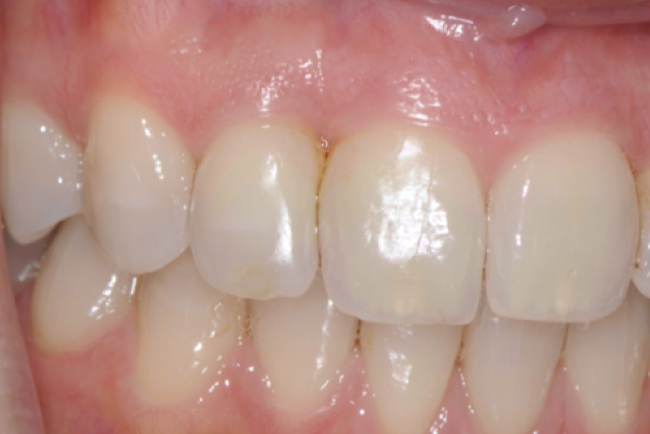 There was no relevant medical history and the patient had no previous periodontal treatment. 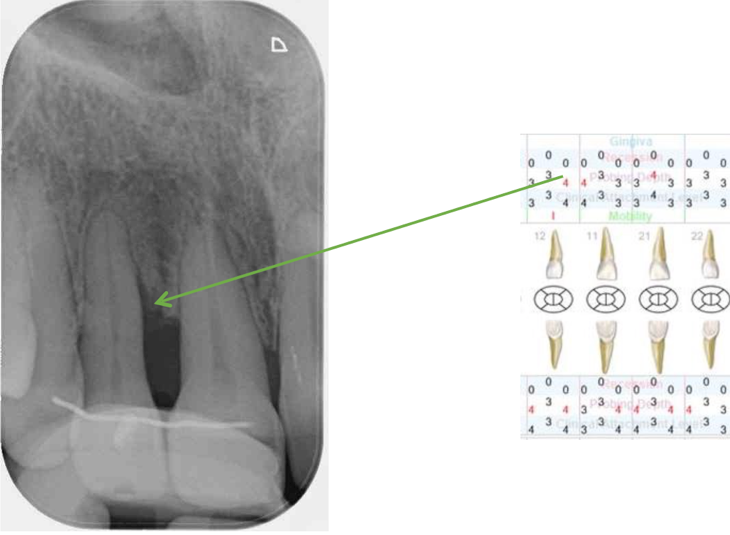 The 12 had the deepest pockets with 9-10mm on the mesial aspect. A vertical defect was evident with loss of ~ 70% of bone on the mesial. Slight loss of papilla was evident clinically between the 11 and 12 prior to treatment. Standardised radiographs were taken using silicone rubber impression material. The 12 was splinted to the adjacent teeth prior to treatment to provide stability, and the occlusion adjusted. The patient was treated using the perioscope and emdogain applied to the mesial defect. Subsequently, the patient was placed on a regular supportive maintenance schedule and the 12 site not probed till 12 months later. At 12 months, the 12 showed radiographic bone fill and reduced probing depths of 4mm on the mesial without bleeding on probing. Most welcoming was the fact the papilla between the 11 and 12 appeared stable without the increase in the interdental space. A 46 year female was referred to us in 2012 for periodontal examination and management. The main complaint was bleeding gums and sensitivity. There was no relevant medical history. The patient did not have any history of previous periodontal treatment. A comprehensive periodontal examination was performed. The patient was diagnosed with generalized moderate chronic periodontitis with localized area of advanced bone loss with 57% of sites with bleeding on probing. The 46 area had the deepest pockets with 9mm on the disto-buccal and 10mm on the disto- lingual. Radiographically, there was evidence of vertical bone loss. 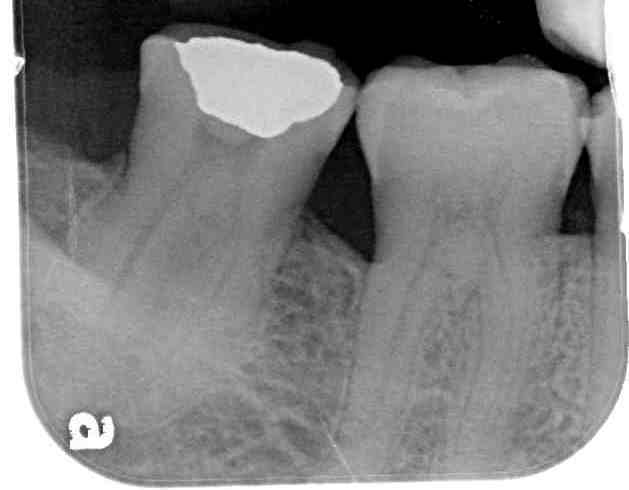 (see periapical radiograph taken at prior to treatment). In 2015, the periodontal examination revealed further reduction in pocket depths with no bleeding on probing. Pocket depths reduced to 3mm distobuccal and 4mm distolingual. A follow up radiograph (vertical bitewing)was taken in 2015 to show complete bone fill of the intrabony defect.